You should really back up all of your data. That day you lose it is the day you'll wish you had listened. Just back it up. I'm a huge proponent of backing up all the things — your computer, your phone, you tablet, your laptop, your smart watch. If you store any kind of data on any of your devices, you should be protecting that data by executing a backup plan. We've done the research, gone through the processes, tried the products, and come up with the ultimate guide to backing up everything. Whether you are protecting private information, securing family photos, or just want to keep a log of your daily jog, you'll find everything you need to know about backing up your iPhone, iPad, and Mac right here. Why should you have a backup plan? Some people will tell you that they don't need a back up plan because they keep everything in the cloud. While cloud storage is absolutely a great way to make sure much of your data is backed up, it's a very good idea to have a secondary, and even a tertiary plan for added protection. A hard backup of your iPhone or iPad makes it possible for you to restore your device settings. Backing up your Mac with a hard drive and an off-site backup service ensures that you're doubly protected in case something goes wrong. If you haven't even started the process of planning how to back up your data, iMore Editorial Director, Rene Ritchie, has a quick and dirty plan to get you motivated. Before you get started, you're going to need a few peripherals. Once you decide which plan is right for you, check out our suggestions for backup services and hard drives to meet your needs. Cheap cloud services: which ones save you the most? 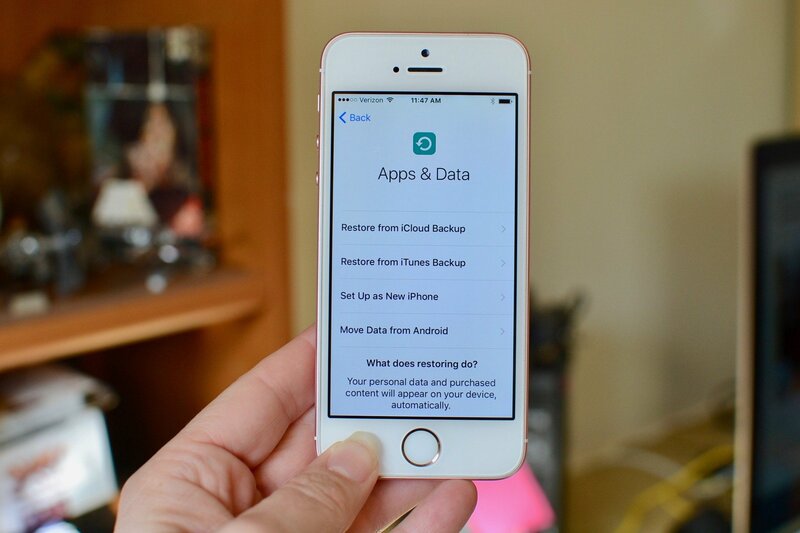 Once you've figured out what plan (or plans) you want to use to have a solid backup plan, you'll need to know how to actually back up your data. If you're backing up your Mac, iPhone or iPad, Apple TV (sort of), or Apple Watch, we have all the steps to secure your data on all of your devices. There are a variety of ways you can back up your Mac, including using the built-in backup program Time Machine. You can also use cloud-based or cloning services, and there are even ways you can back up your contacts and store your desktop files in iCloud. You might think that iCloud keeps your iPhone and iPad safe from data loss. For the most part, that's true, but there's a little more to it. You can selectively back up some data, copy chats, save voicemails, and a lot of customizable back up options. So, there is no way to simply back up every byte of data on your Apple TV, even in a cloud-based service, but much of your content is linked to your iTunes account and Apple ID. iCloud can also keep your photos safe. Until Apple lets us back up our Apple TV data, here are the backup work arounds. Apple Watch automatically backs up to your iPhone. So, as long as your iPhone data is safe, so is your Apple Watch data. Transferring health data from an old Apple Watch to a new one, or and old iPhone to a new one, can be a little bit tricky, but it is possible. OK, so now that you have a backup plan in place and all of your precious data is secure, what do you do? Well, hopefully nothing ... ever. But, if you ever have an issue with your iPhone, iPad or Mac, you can use your backed up data to restore some or all of its content. I'm not going to say, "I told you so," but if you're reading this, there is a chance that you didn't execute a backup plan, and now you're looking for some help recovering data that you have lost. Before you start looking for a tech service that recovers data from corrupted computers and phones, take a look at our suggestions. It's possible you can get back that little something important without having to spend a lot of money. Even when you have the perfect backup plan in place, things can go wrong. Take a deep breath and read some of our support articles. If you don't see your problem, be sure to visit our forums. The iMore community is the best around. They are patient, friendly, and love to help people having a tech crisis. How do you back up? Let us know in the comments.